“On Tessa’s Awkward Duckling blog I first read about this nicely illustrated book that calls for taking small steps to improve the world. Picking up a piece of trash, not eating meat for a day, selecting one sustainable piece of clothing instead of multiple pieces of fast fashion, things like that. This seemed a good addition to my sustainable mini library, and now that I read the book, I know that this is indeed the case! Did I already mention that the illustrations are truly amazing? But first let me explain what kind of book this is. 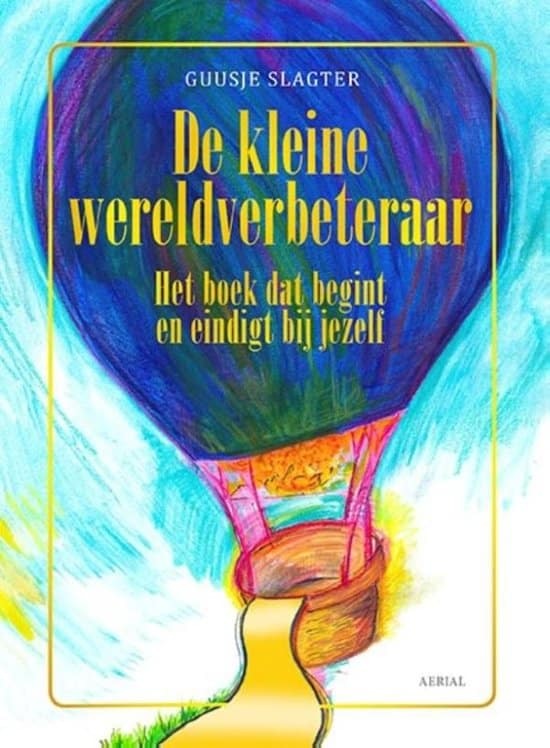 Guusje Slagter wrote this book as a positive counterweight to the notion that as an individual you cannot make a difference. Because of course you can! By taking small steps yourself, you might inspire others to also taking a small step. Who will in turn inspire others and so forth. Exactly what I hope to accomplish by showing our own changes on my blog. Besides that, taking a small step usually enables taking the next step as well. ‘The little do-gooder’ is a fairy-tale-like book with a collection of descriptions from the life of the main characters, short stories and fairytales that have been sent to her in mysterious letters and reflections on what these stories do to her. The combination with the beautiful illustrations makes that this book touches me in a different way that other books I have read until now. The symbols used in the stories simplify the messages just enough that the choices that can make become really clear. I finished the book in one day and I think that it is especially strong that once finished, you are invited to read the book again. The second time around you can reflect on your own stories rather than reading the reflections of the main character. Smart! Together with the tips about waste, nutrition and clothing at the end of the book, I believe that this will trigger change. Blog originally published on Judith’s blog ‘Wat beweeg jij‘, see the original text here.